When you think about important parts of your home, gutters probably aren’t at the top of your list. They’re often given little credit for the amount of work they do for a home until damage occurs. So why is gutter installation so important and what can you do to maximize what it does for you? Here’s a closer look. The sole purpose of gutter installation on your home is to divert water away from the structure. When it rains, water falls onto your roof, which is designed so that the rainwater drains down and into gutters along the horizontal edges of your roof. They’re open at the top to collect the rainwater and are fitted together so that water is directed into the downspouts. These are the vertical closed sections that stretch from the gutters at the roof to ground level. From there, the water is guided out and away from your home’s foundation. When your home doesn’t have gutters, rain falls from your roof directly on to the ground around your home. When the soil near your home gets saturated, some of that water will find its way into your basement, crawl space, or concrete floor. Whether it’s a lot or not even noticeable, the air in your home will absorb it. When this moisture-rich air comes into contact with cold surfaces like windows it causes condensation. It may not seem like a big issue, but chances are if the air is condensing on your windows it is also doing so in your walls and attic where it can cause extensive and expensive fungal and wood-rot damage. Gutters also help to protect your roof, prevent erosion, protect your landscaping, and prevent flooding in and around your home. While having gutter installation is good, it’s not good enough. You must make sure to maintain your gutter system to keep it working properly. 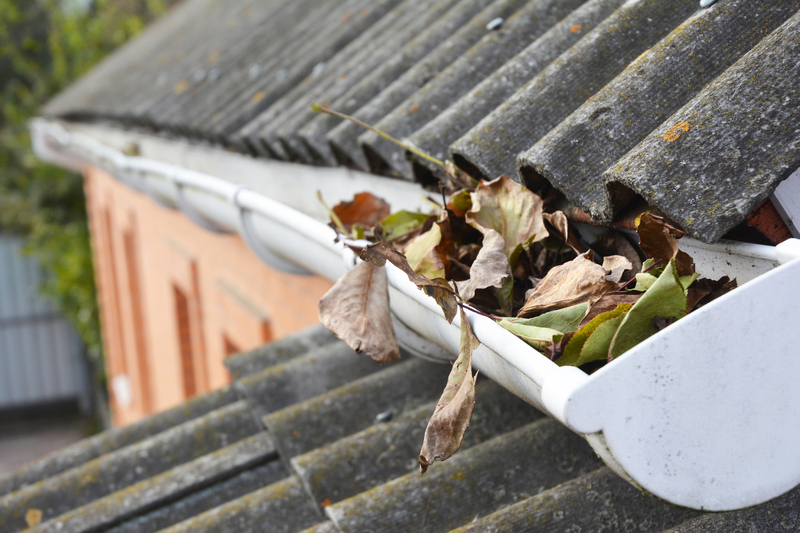 It’s recommended that you clean and inspect your gutters at least once a year. Make sure they’re free of leaves, twigs, and any other debris that may have gotten lodged there. Depending on how many trees are on your property, you may have to do this more than just once a year. Also make sure to inspect your system for leaks, sagging, or any other damage. A gutter installation won’t provide much value if they’re in poor condition and can’t do their job. In Dothan, AL, the company that works hardest to earn your respect and trust is Marty Robbins Roofing Co, Inc. Their professional team is devoted to bringing you the best roofing services at a price you can afford. To get an estimate for a gutter installation or your next roof, call (334) 794-8120 or visit their website for more information. Other Announcements, Events and Deals from Marty Robbins Roofing Co.
A. Marty Robbins Roofing Co.